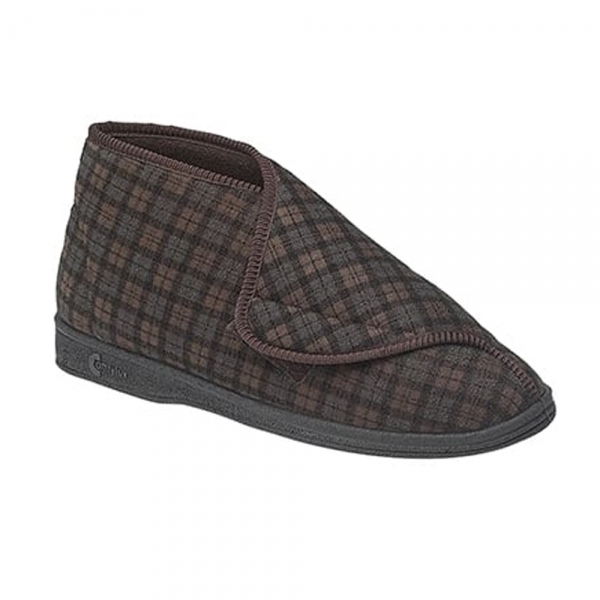 Give your feet the comfort they deserve with the men's James slippers by Comfylux. In a boot slipper style, they surround your feet allowing the soft textile lining to hug your feet with all the warmth and cosiness you could dream of. Provided in a wide fitting and with a touch velcro fastener strap, you can find the ideal fitting for you meaning your experience of comfort is endless. If you're a man who enjoys a spot of gardening or maybe even just relaxing in the garden then these are the perfect slippers for you as the vulcanised rubber sole makes them ideal for light outdoor use. My 93 year old Father is very happy with them.